Group of crystals with a tabular shape and a very sharp hexagonal contour. They are very bright and are on matrix. A fine sample, a German classic. The sample has been analyzed and we will send a copy of the analysis to the buyer. 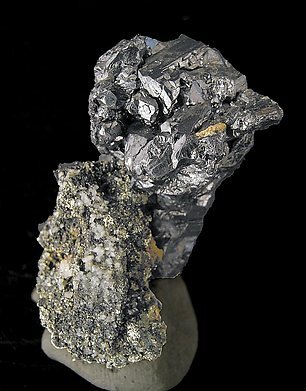 An excellent, really shiny Stephanite that is well positioned on the matrix and has complex crystal forms. There are also some large crystals of Stephanite on the rear of the specimen. There are no dings or scratches anywhere on it and there is a small amount of Pyrite matrix. As we often do, we will send the buyer of this one a copy of the analysis of this tempting specimen. 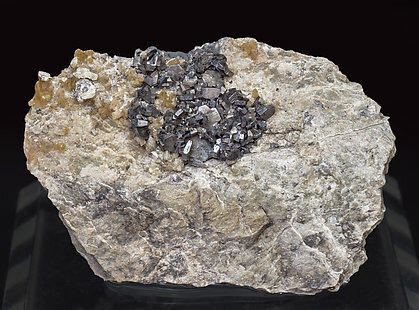 A mineral that bears the name of a King (Stephan) and mined over two centuries ago, in the 19th century. So much history for this rare specimen. 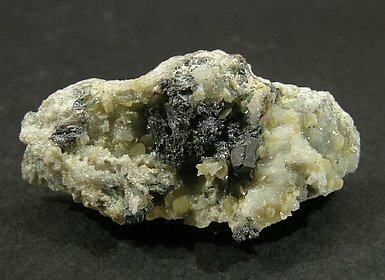 A great Stephanite. 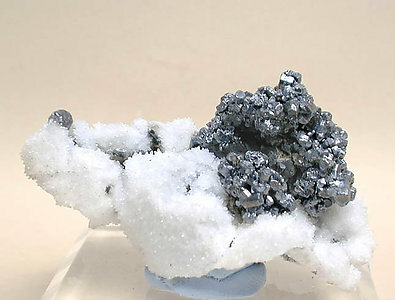 The crystal size is not that large, but put it all together, the brilliance and the nice position on the top of white Calcite crusts, and it could satisfy a demanding collector. From the Spanish locality that is a classic for its excellent silver sulfosalts. 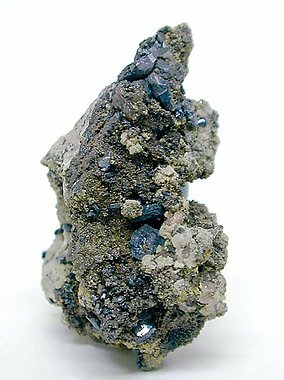 A small, long crystal with perfect definition of the faces and accompanied by Miargyrite, both on the matrix typical for the locality. Folch found this at the Teresa Mine in 1950.